I read my horoscope pretty much every day and identify so strongly with my zodiac sign (Gemini, in case you were wondering) that I include it in pretty much every author bio I've ever written. So, needless to say, I have a lot of fun with astrology. But "fun" is the key word and that's why I've been somewhat alarmed by the new trend of women's health publications promoting horoscope or moon-related health advice. Dr. Darlene Mayo, a board-certified neurosurgeon, says that people turning to "health" horoscopes for answers is concerning for a number of reasons. "While some people firmly believe our future is written in the stars and astrology can be the key to unlocking the answers, even experts in that field will tell you that it is far more complicated than looking at only the month you were born to learn about your character and certainly to learn about your future," Mayo tells SheKnows. Mayo says this is especially true when it comes to health concerns, and the reason comes down to simple math. There are 12 zodiac signs and over 300 million people in the United States alone. "That would mean that 25 million people each day would all have the same health concerns [and] would get better or worse that day if you only look at your horoscope reading," she says. The odds of that happening are nil. As a specific example, Mayo says that she recently read a health-related horoscope that said "that nagging illness will start to get better today." It's an incredibly general statement, but there are very real dangers if readers take it to heart. "You could possibly lose your life," Mayo says. "Every day in the United States, 2,200 people have a stroke, which is usually caused by a blood vessel in the brain being blocked. Nearly 400 of the people who have a stroke die every day." But stroke is often treatable if you get to the hospital quickly. So the danger of following health horoscopes religiously is that you may be more likely to brush off symptoms and warning signs because your horoscope assured you that you'll start feeling better soon. Dr. Chirag Shah, a board-certified emergency medicine physician, has a slightly different perspective. "It's fine to read a horoscope to see what it says about your health as long as you implement any advice after consulting with a licensed medical provider," he tells SheKnows. Fair enough, but can these horoscope readings ever be beneficial? Shah points out that although many people experience chronic symptoms like fatigue on a daily basis, they don't seek medical care to find out if there is an underlying (and potentially treatable) medical problem. "If reading an astrological forecast is what it takes for a person to recognize the presence of the undiagnosed symptoms and then take action to seek out medical care, I think that most medical providers would agree that the reading was beneficial overall," Shah says. Of course, his major caveat is that implementing astrological health advice without consulting a medical provider is not recommended. 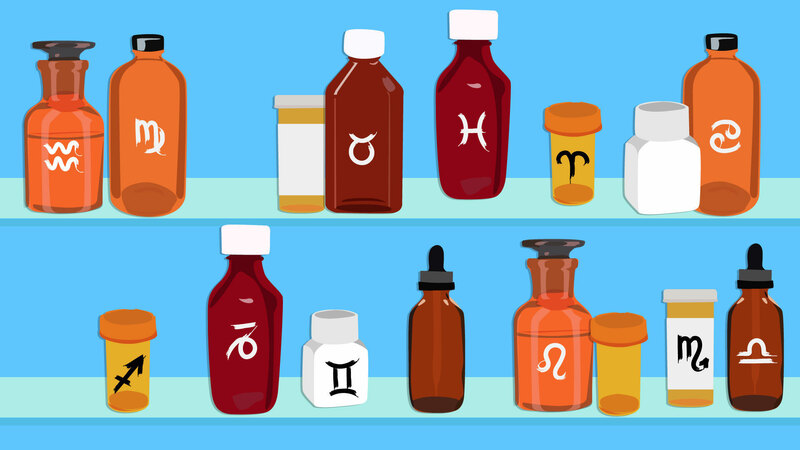 If you simply can't quit your horoscopes, the crucial thing to remember is that all health decisions should be made after consulting with your doctor. As long as you keep that advice top of mind (no exceptions), reading health horoscopes can be harmless fun.